GUELPH, Ontario – On November 23, Specialist High Skills Major (SHSM) students from John F. Ross CVI participated in a career event that focused on mobility. 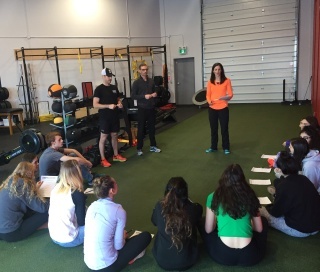 The Career Exploration event took place at DEFY Physiotherapy in Guelph. DEFY clinic owners Jared and Laura spoke to SHSM students about their career pathways and educated students about the number of heath care careers that are open to them in the future. 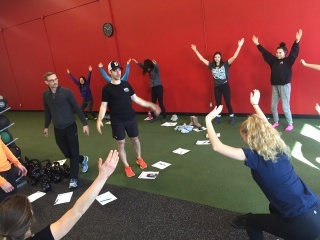 During the event, students had the chance to participate in a mobility class. This class highlighted the functional difference between flexibility and mobility. Students were led through a complete screening during the class and had a great day with this interactive learning experience.